The Western Bulldogs submitted its application to the AFL for a team in the national women’s league on Friday in a bid to secure one of eight licenses to be handed out by the League for the competition launching early next year. A genuine high-performance approach to women’s football was the cornerstone of the Bulldogs’ bid. “[It is time] to change the conversation from it being about the right thing to do for the community to talking about elite performance athletes,” CEO David Stevenson told the Herald Sun. While the Club is experienced in running an elite women’s team, Stevenson said that the Bulldogs’ long term plan goes beyond just having a team take part in the new national competition. “In our spirit of one club-three teams we now have a campus approach to our facility that allows us through great partnerships with Victoria University and also with Maribyrnong Sports Academy to create a performance campus,” Stevenson said. The Bulldogs’ submission also includes the creation of potential pathways for female athletes, coaches and support staff to establish careers in football. The Dogs ambitious proposal includes a plan to play games at three key venues in Melbourne and Victoria’s west: Etihad Stadium, Victoria University Whitten Oval and Eureka Stadium in Ballarat. Stevenson said inspiring the next generation of female footballers would also remain a focus, pointing to current captain Steph Chiocci and rising star Katie Brennan as trailblazers and mentors. “We have a great opportunity to create heroes that inspire young female players — and people like Katie Brennan and Steph Chiocci are fantastic role models,“ Stevenson told the Herald Sun. The League also announced on Friday that Western Bulldogs board member and long-time champion of women’s football, Susan Alberti, had been appointed to the Women’s Football Advisory Group. Chaired by AFL Commissioner Major General Simone Wilkie, the 10-member group will meet quarterly to provide input in the inaugural national women’s competition which will commence in 2017. Current Western Bulldogs Women’s Team representative Darcy Vescio is also a member of the advisory group. 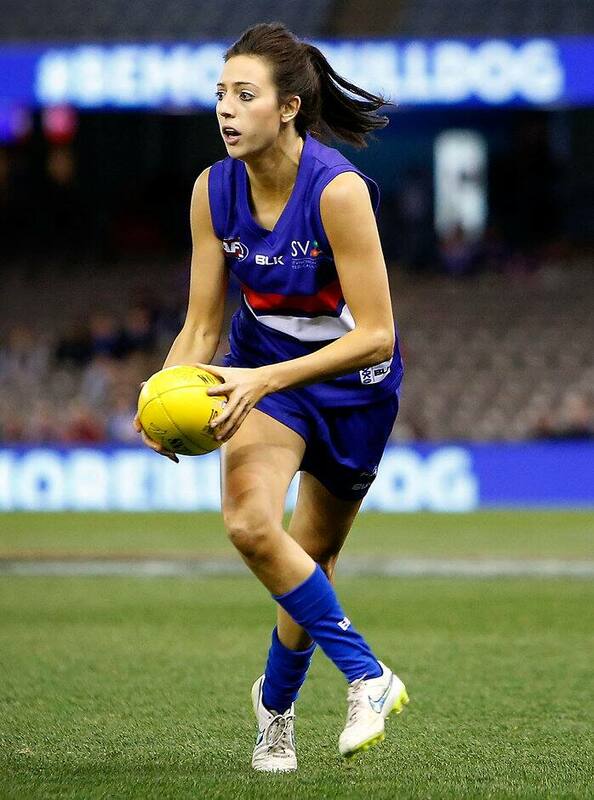 The Western Bulldogs women’s team are scheduled to face a team representing Western Australia at Etihad Stadium on Sunday, June 5, before taking on Melbourne for the Hampson-Harderman Cup on Saturday, September 3.